Here to remind you why you fell in love with hip hop. We are an international group drawn together by the gravity of Hip Hop. 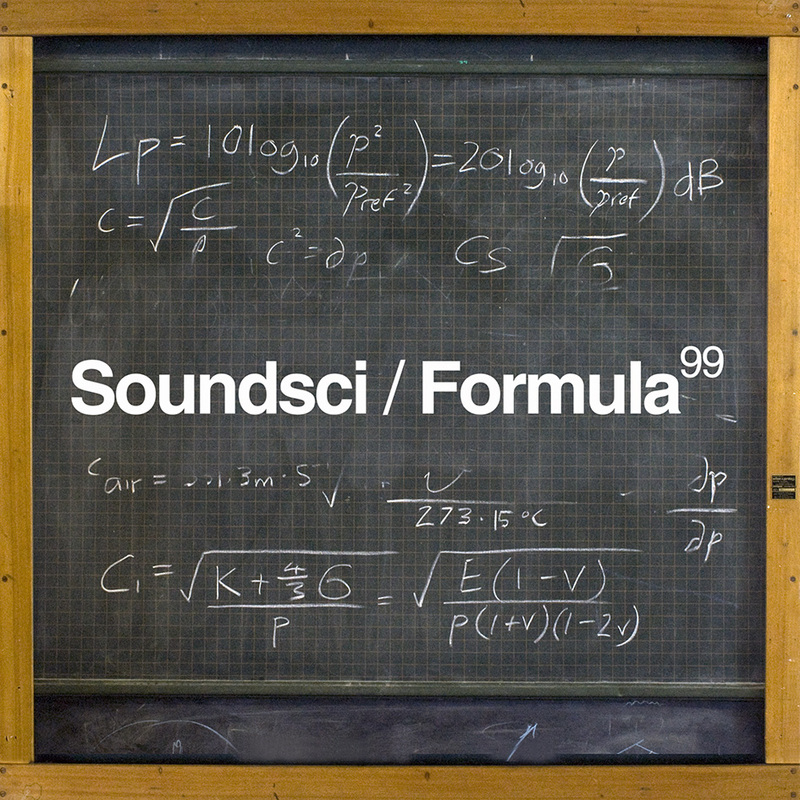 Founded by Audessey (formerly of Mass Influence) & Jonny Cuba (from Ninjatune's DSP). We released the Dig for Victory EP (Crate Escape Records) in 2009. Winning LP of the month in HHC! 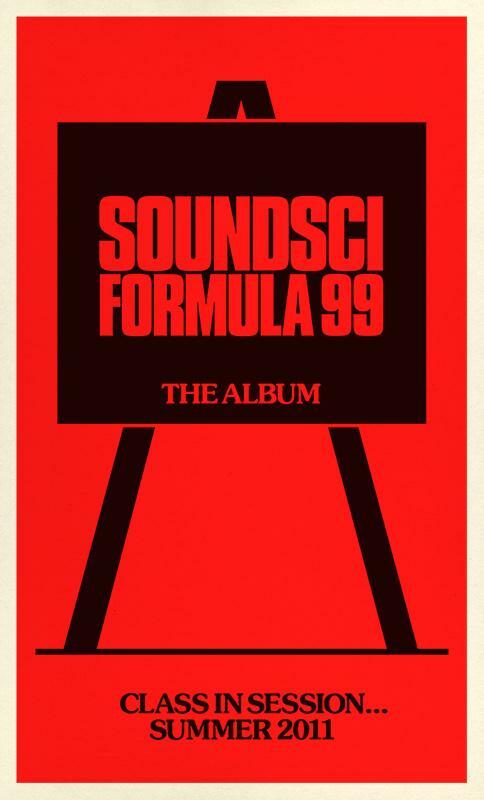 Whilst making our 1st LP 'Formula 99' we expanded the crew to include the Herbaliser's DJ Ollie Teeba. Emcee's U-George & our newest member Oxygen (Sputnik Brown). Art & design supremo Mr Krum completes the equation. NoSleep Nigel is our Engineer, taking our sound to the next dimension. Look out for various projects from all our members, coming up soon will be Ox's & DJ Spinna - SPOX PHD. U-George's LP & Ollie Teeba's 1st Solo record. 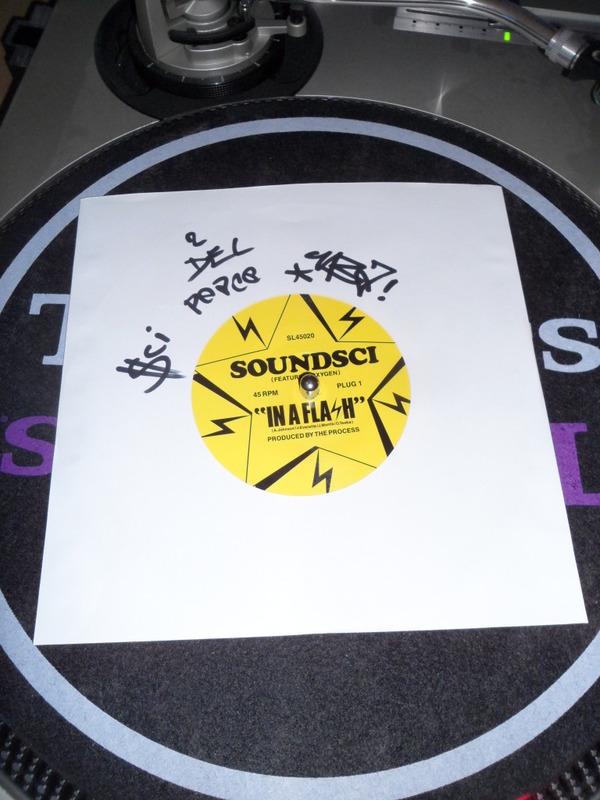 New SOUNDSCI 7inch out now on Kudos Records! Click here to purchase the new 7inch single on Kudos Records!!! Just a preview of the LP cover for the F99 project. Super shout to Mr.Krum for the dopness. 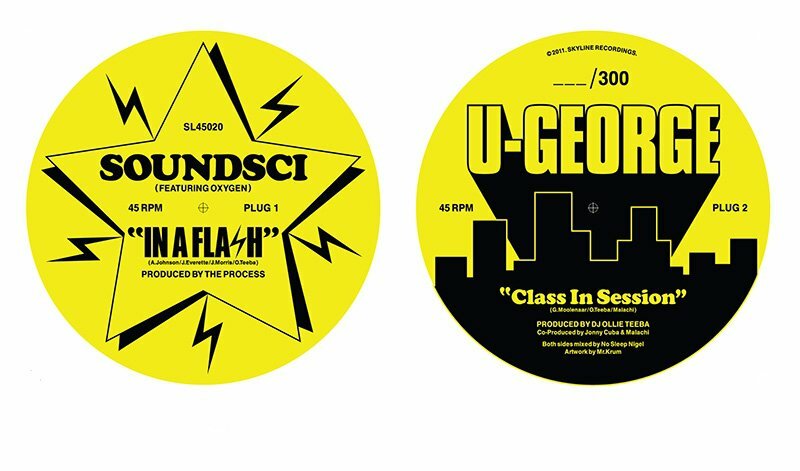 Also check out the audio snippets of the 45 featuring Oxygen (Sputnik Brown) on “In A Flash” and on the B-Side Soundsci’s own U-George blast through with a solo joint called “Class in Session”. 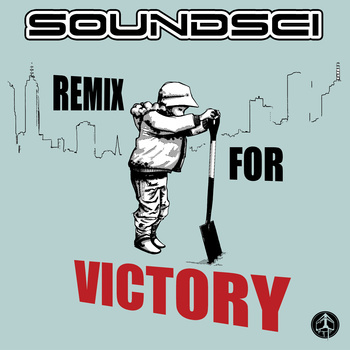 Directed by: Rob Shaw for Bent Image Lab Re-edited by Strictly Kev (Dj Food) Taken from Soundsci – Dig For Victory EP http://soundsci.bandcamp.com/album/dig-for-victory-ep It’s good fun, enjoy! Get your copy of “Dig for Victory” here!!! Click here to order your limited edition RED VINYL!!! Click here to buy MP3’s of the songs or entire EP!! !